A “Chargeback” is a request that a Purchaser files directly with his or her card company or card issuing bank to invalidate a processed payment. 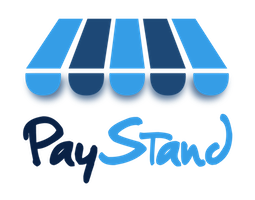 “Claim” means a challenge to a payment that you or a Purchaser files directly with PayStand. “Reversal” means PayStand reverses the settlement of funds from a processed card transaction that you received because (a) the card transaction is invalidated by the card issuer, (b) the settlement funds were sent to you in error by (i) PayStand or the Bank; (ii) the processors, suppliers or licensors of PayStand or the Bank; or (iii) any of the respective affiliates, agents, directors and employees of any of the entities listed in (i) or (ii) above, (c) the sender of the payment did not have authorization to send the payment (for example: the Purchaser used a card that did not belong to the Purchaser), (d) you received the payment for activities that violated this Agreement or any other PayStand agreement, or (e) PayStand decided a Claim against you. You may be subject to a Chargeback (i.e., the amount of a payment may be charged back to you) in the event of a Claim or Reversal, or if the payment (1) was not authorized or we have any reason to believe that the transaction was not authorized, or (2) is unlawful, suspicious, or in violation of the terms of this Agreement. You are responsible for all Chargebacks, whether or not the Chargeback complies with the Network Regulations. You owe us and will immediately pay us the amount of any Chargeback and any associated Fees, fines, or penalties assessed by the Bank, our processor, the Networks, or the ACH. If you do not have sufficient funds in your Account, then we may withhold and/or offset any funds available to you in accordance with the Fees section above. You understand that if you have pending Chargebacks, we or the Bank may delay payouts to you. Further, if we reasonably believe that a Chargeback is likely with respect to any transaction, the Bank may withhold the amount of the potential Chargeback from payments otherwise due to you under this Agreement until such time that: (I) a Chargeback is assessed due to a Purchaser's complaint, in which case the Bank will retain and refund the funds; (II) the period of time under applicable law or regulation by which the Purchaser may dispute that transaction has expired; or (III) we determine in our sole discretion that a Chargeback on the transaction will not occur. If we determine that you are incurring an excessive amount of Chargebacks, PayStand or the Bank may establish controls or conditions governing your Account, including without limitation, by (A) assessing additional Fees, (B) creating a Reserve in an amount reasonably determined by us to cover anticipated Chargebacks and related Fees, (C) delaying payouts, and (D) terminating or suspending the Service or closing your Account. You agree to assist us when requested and otherwise cooperate fully, at your expense, with any investigation of any of your transactions processed through the Service, until such investigation is completed. To that end, you permit us to share information about a Chargeback with the Bank, the Purchaser, the Purchaser's financial institution, and your financial institution in order to investigate and/or mediate a Chargeback. We will request necessary information from you to contest the Chargeback. If the Chargeback is contested successfully, we will release the reserved funds to you. If a Chargeback dispute is not resolved in your favor by the Networks or issuing bank or you choose not to contest the Chargeback, we may recover the Chargeback amount and any associated Fees as described in this Agreement. You acknowledge that your failure to assist us in a timely manner when investigating a transaction, including providing necessary documentation promptly upon our request, may result in an irreversible Chargeback. We reserve the right, upon notice to you, to charge a Fee for mediating and/or investigating Chargeback disputes.